[S1033] Larry Baxter [lbaxter2@ec.rr.com], 22 Jun 2010. 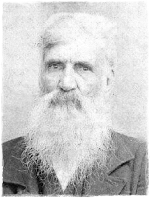 Columbus Brewer, son of Martin Brewer, was supposed to be the Father of Canoy "Ned" Sanders, son of Melinda Sanders. [S1097] Terry Keith Maness [lightmt@embarqmail.com]. [S1097] Terry Keith Maness [lightmt@embarqmail.com], 22 Jul 2009. My Grandmother was Evelyn Spivey, Nettie Wallace Sanders was my great grandmother. I have my family's bible and the names and dates came from Ned and Nettie's Bible. I will tell you that all their children spelled their names in different ways. Just looking in the cemetary you can see different variations on the way they spelled their names. I never understood until recently why they did this to themselves, but anyway most of the time my grandmother wrote Saunders even though her fathers headstone says Sanders. I guess it was which brother or sister was in charge of ordering the headstone.